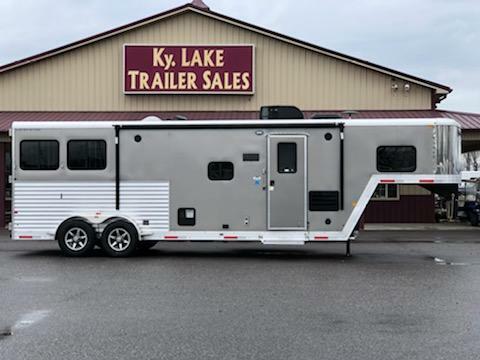 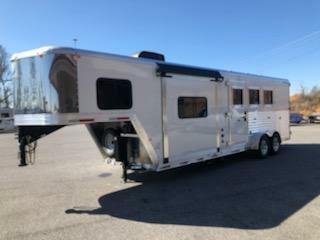 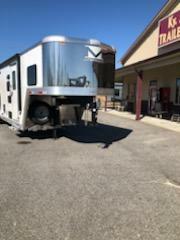 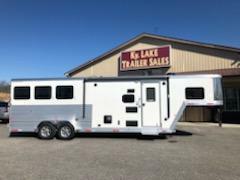 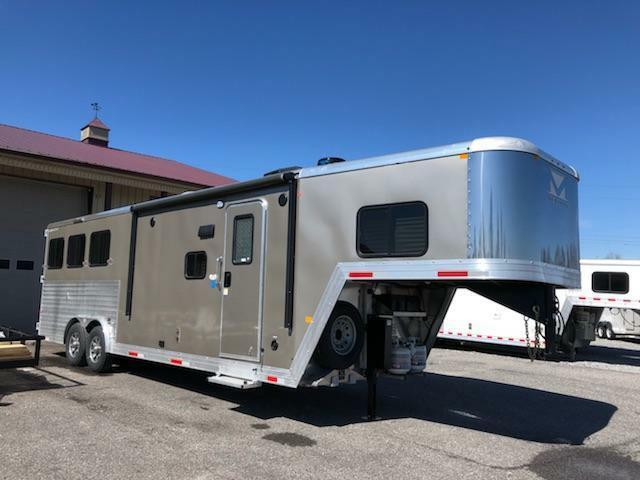 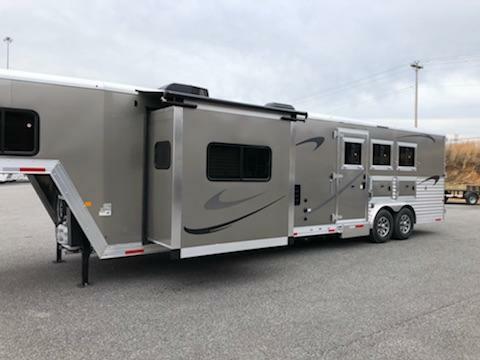 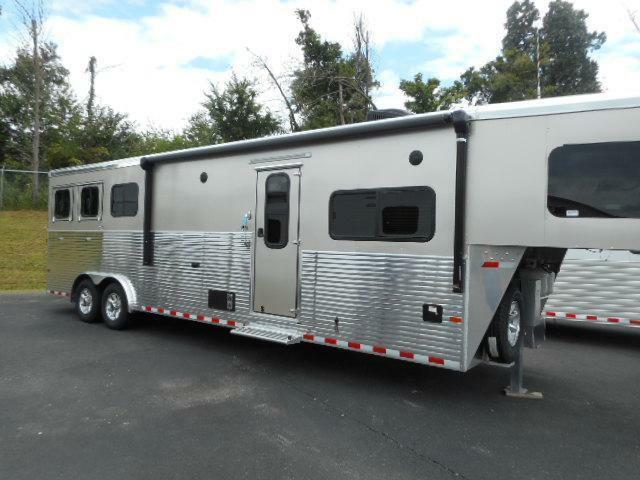 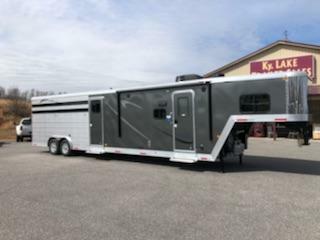 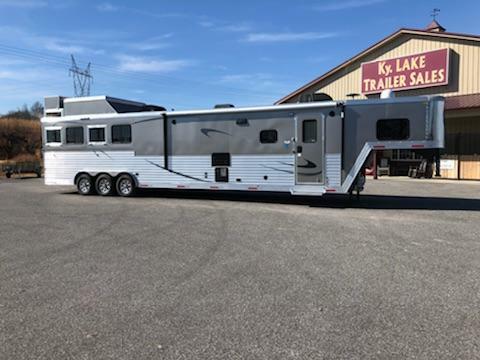 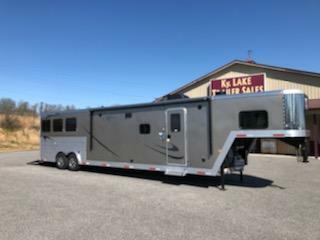 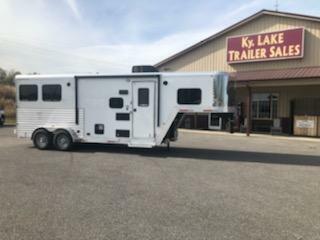 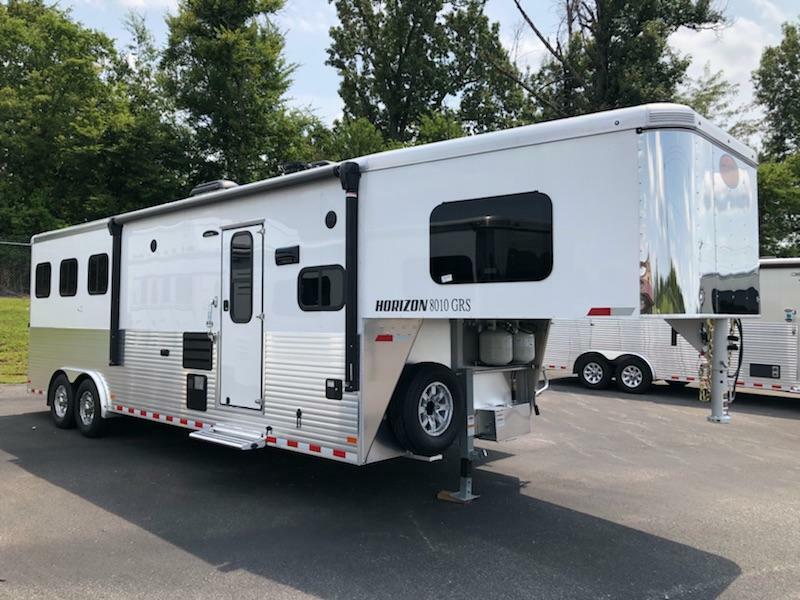  This 2019 Merhow 7309 RK-S is white in color with extruded aluminum sides at the stall area, a black power awning with LED light strip underneath, 6K axles, aluminum wheels,dual batteries, and single hydraulic jack. 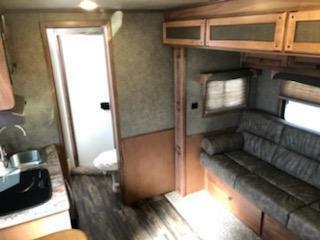 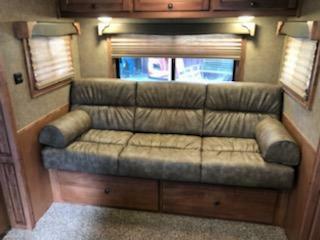 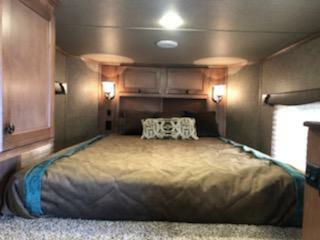 The living area has a 72" jack knife sofa, laminate counter tops, satellite inlet, TV antenna, stereo/DVD player with bluetooth capability, external marine speakers, 24" LED TV with swing arm, soft shades, emerald valance package, recessed cooktop, microwave, innerspring matress in the gooseneck area, 13,500 BTU A/C with heat strip, fridge, 19,000 BTU furnace, and cinnamon hardwood cabinetry throughout. 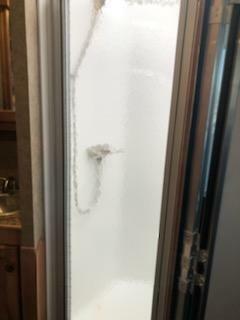 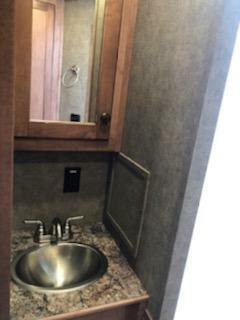 The bathroom has a shower with glass door and skylight, sink with vanity, toilet and walk through door to the horse area. 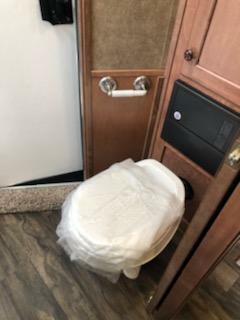 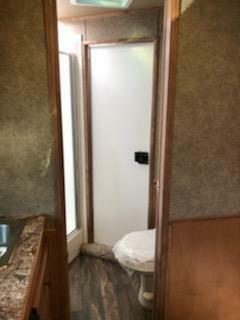 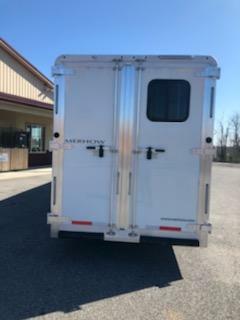 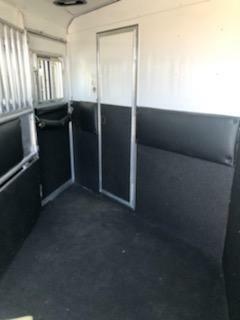 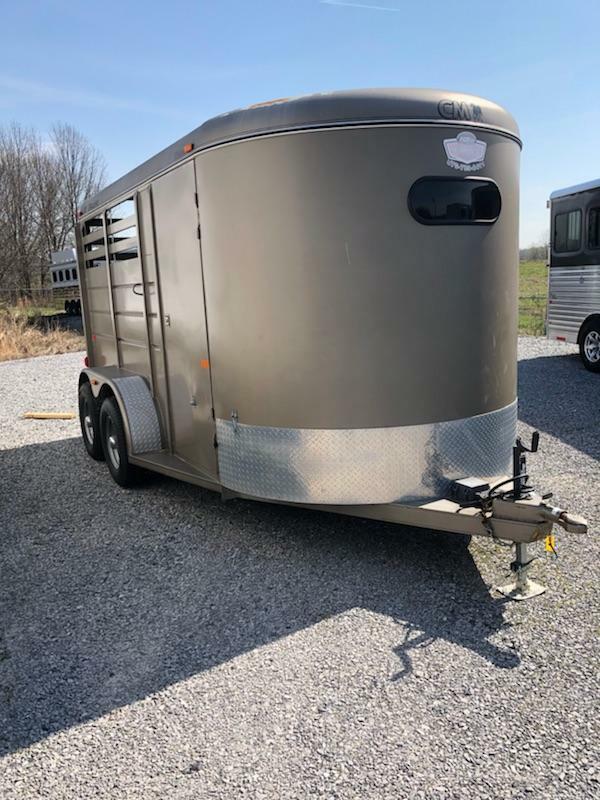 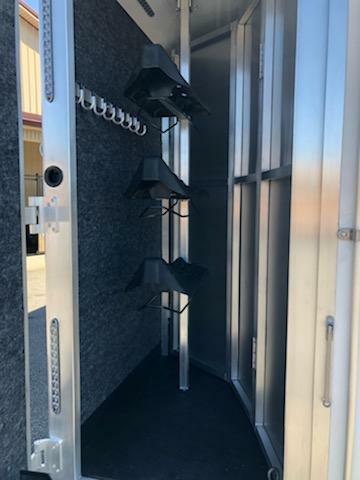 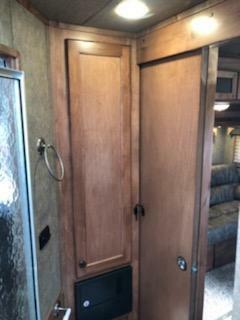 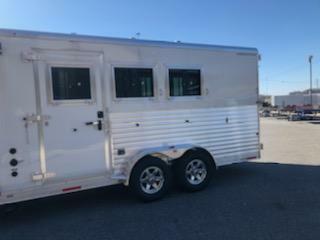 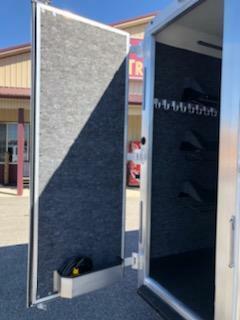 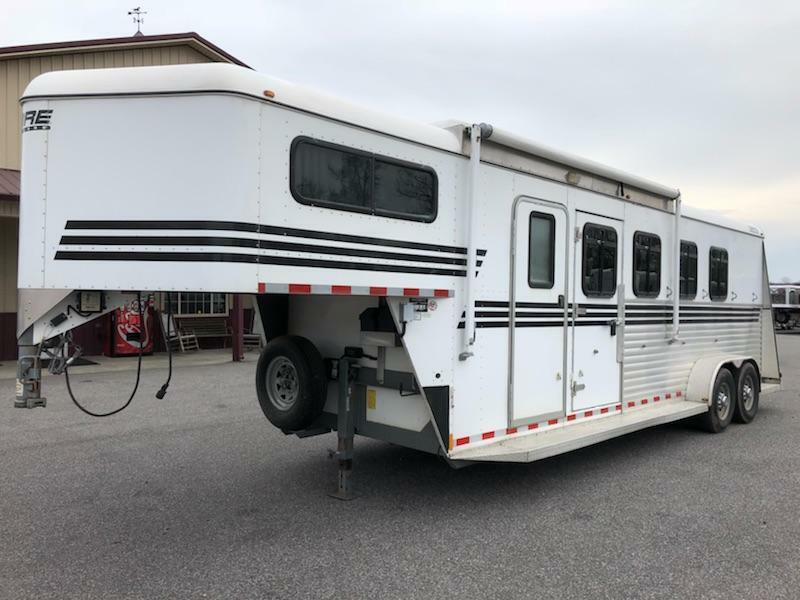 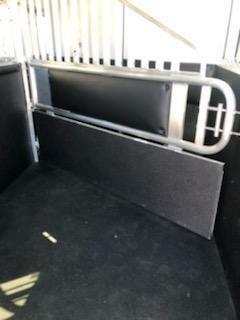 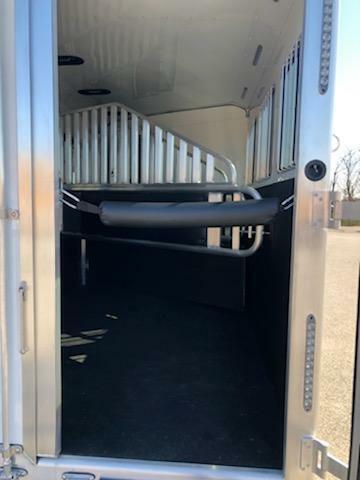 the horse area is lined and insulatedwith 3 way switch on rear hoop for interior horse lights, stud divider and escape door in the first stall, collapsible rear tack with 3 saddle rack, brush box on door and bridal hooks. 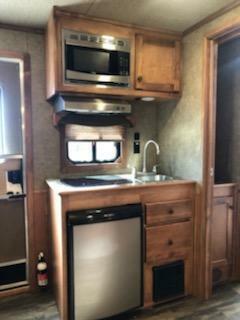 Come by and check this one out. 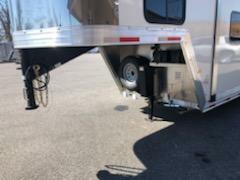 It will not disappoint.